Get a great deal on car rentals in New Zealand with NÜ Car Rentals. No matter your destination, Christchurch Airport car rentals from NÜ will get you there. Swim with dolphins, go fishing, hiking, and skiing. Christchurch rental cars allow you to do it all, cheap and hassle free. There's no time to waste. Book your NÜ rental car today and save! NÜ Car Rentals has great rates, exclusive discounts, and the cheapest deals to fit any budget. 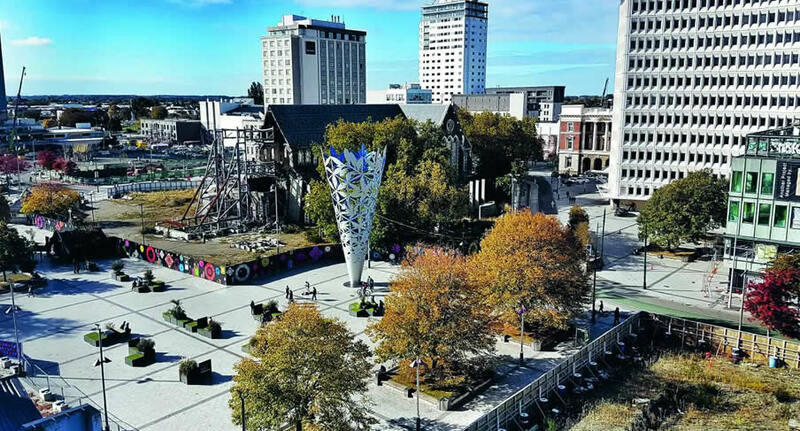 Christchurch, known for its English heritage, is located on the east coast of New Zealand’s South Island. Flat-bottomed punts glide on the Avon River, which meanders through the city centre. On its banks are cycling paths, the green expanse of Hagley Park and Christchurch Botanic Gardens. In 2010 and 2011, earthquakes destroyed many of the historic centre's stone-built buildings. Check out our discount rates today and save! NÜ Car Rentals has great rental cars at affordable rates and cheap deals. Next time you're visiting New Zealand, take NÜ Car Rentals for a ride, for the perfect rental car from Christchurch airport.